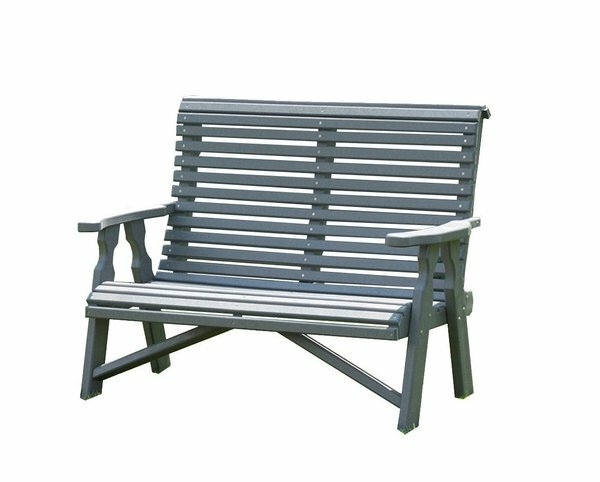 With room for two, our 4' Poly Rollback Loveseat makes a wonderful addition to any outdoor space - offering you and that someone special a place to relax and enjoy many great days under the sun. The ergonomic design is sure to keep you sitting comfortably for hours, where a gently sloped seat transitions seamlessly to a reclined, curve back - one of our most comfortable styles. Each rollback loveseat is crafted by the hands of skilled Amish woodworkers from an eco-friendly, post consumer material called Poly Lumber. This modern material keeps milk jugs and detergent containers out of landfills - extruded into boards that produce amazing outdoor furniture. Choose from a variety of bright colors for your new loveseat to complement your space. With poly lumber, you can count on decades of continued use without the worry of faded or weathered colors, splinters, cracks, chips, or rust. Backed by a 20-Year Residential Warranty to back up your investment. Any color combination is available.